Supan Buri,Thailand - November 10 2018 : Nonidentical people diving to feed fish in fish tank in aquarium show at Supan Buri,Thailand. 4k00:11Supan Buri,Thailand - November 10 2018 : Nonidentical people diving to feed fish in fish tank in aquarium show at Supan Buri,Thailand. 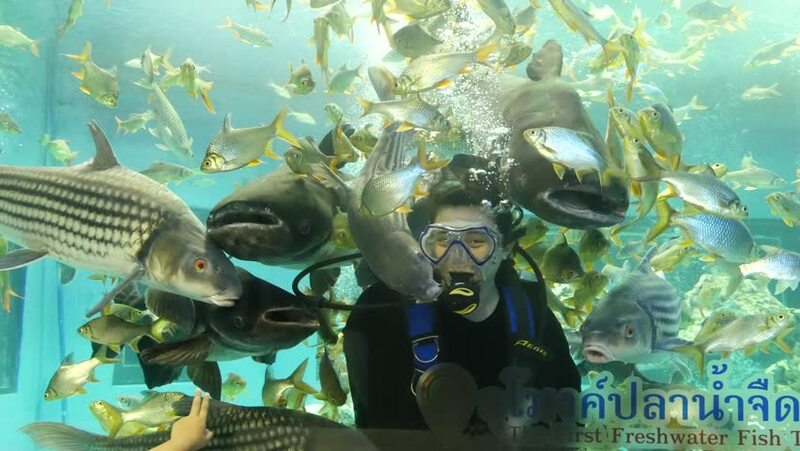 4k00:19Supan Buri,Thailand - November 10 2018 : Nonidentical people diving to feed fish in fish tank in aquarium show at Supan Buri,Thailand. 4k00:12Supan Buri,Thailand - November 10 2018 : Nonidentical people diving to feed fish in fish tank in aquarium show at Supan Buri,Thailand.